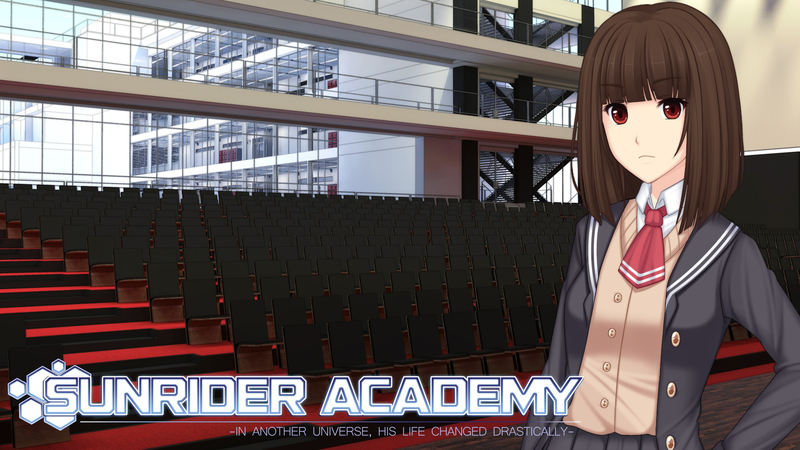 Sunrider Academy is the slice of life spin-off that follows the sci-fi tactics OELVN Sunrider: Mask of Arcadius. Academy breaks into another classic style of gameplay with its stat management dating simulation focus, making for a wholly different experience from its parent visual novel. 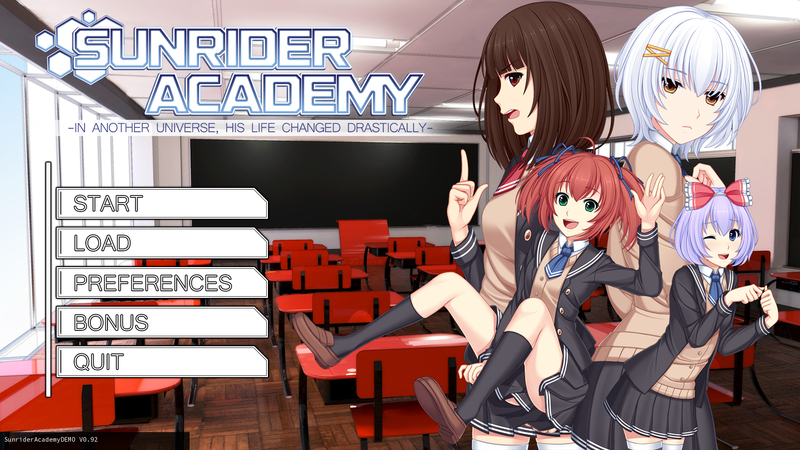 While well presented, I found that Sunrider Academy simply didn’t have enough content to be enjoyable and the repetitiveness of its gameplay didn’t give it much to fall back on. Genre-shifts can be incredibly entertaining, but I have to recommend giving this one a miss. 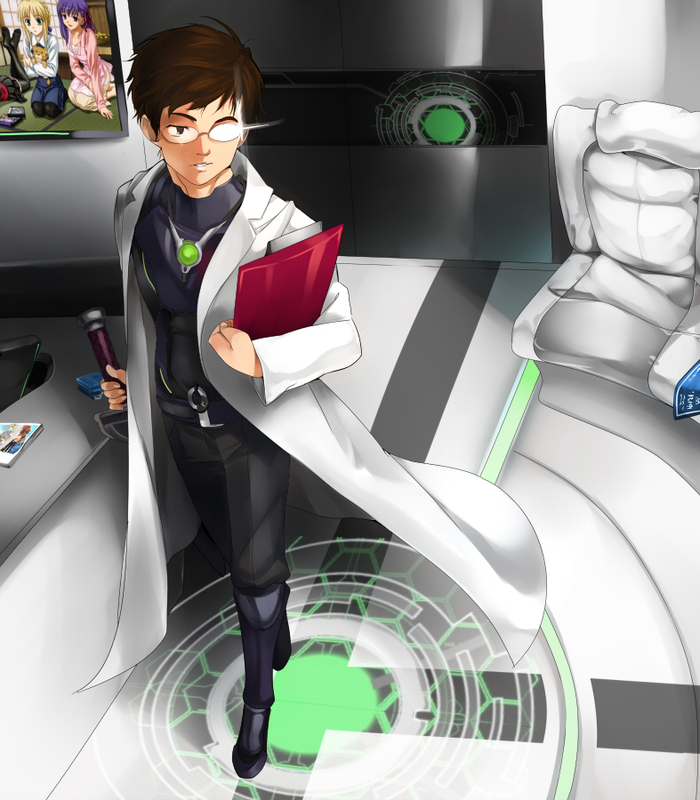 Kayto Shields, Captain of the space-faring vessel Sunrider in a previous life, is now a high school student. As a member of the student council he is tasked with managing the Academy’s problem clubs…and while doing so he might just find himself drawing closer to their leaders. The gameplay revolves around managing your time each day between making money, relieving stress, raising Kayto’s stats and raising the clubs’, with the overall goal being to have the clubs win tournaments and have their captains fall in love with you. There’s a common route followed by the opportunity to pick a character route…which is as far as I got, admittedly, meaning I can’t comment on the quality of the character stories. Sunrider Academy is one of the few visual novels I’ve dropped before finishing even a single route, and there are a couple of important reasons for that. The most glaringly obvious reason is a lack of content. The stat management game, which gets old after the first month, makes up at least 80% of the time spent playing. There are ten laboriously long months in total and each of the five weeks (comprising of ten days) can have as little as one short event. This means that you will be clicking the same buttons over and over and over again for an absurd amount of time before reaching anything that might resemble new material. As just mentioned, the story scenes themselves aren’t particularly packed with plot. Sunrider Academy is nestled so snuggly in the slice of life genre that even the visual novel portions contribute very little to…well, anything. While I could see some light drama brewing in the distance from where I reached, the meat of the story simply rehashes the same tired tropes we’ve seen before, with the only novelty stemming from the occasional reference to the original Sunrider VN. 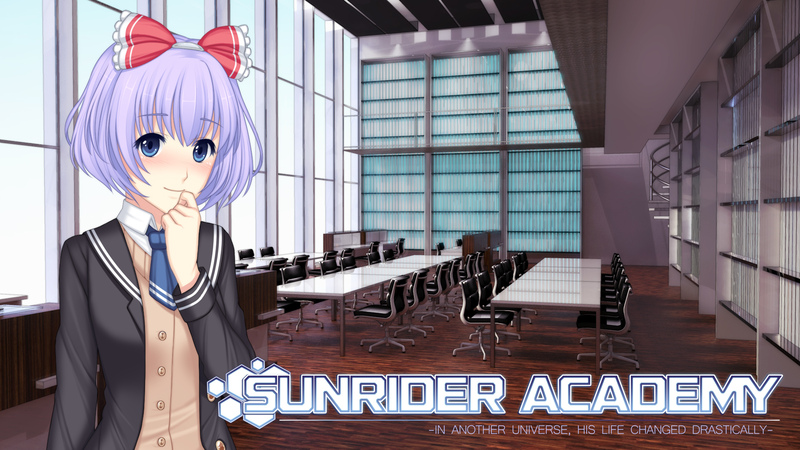 Sunrider Academy’s presentation, however, is something of a light at the end of the tunnel. The visuals are clean and suit the game well, with character sprites being consistent with their alternate dimensional relatives. Additionally, the UI is a great deal more cooperative than Mask of Arcadius’ and the game as a whole runs a lot more smoothly (mostly because it’s not doing as much, but let’s not take that away from Academy as well). By the time I’d decided I was done with the experience, the BGM had started feeling repetitive, so unfortunately there’s no salvation there. Also, Academy has dropped Sunrider’s voice acting completely. 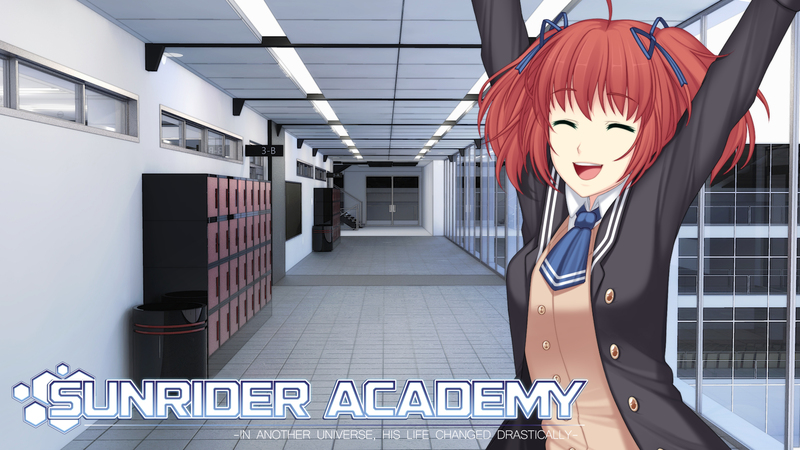 Summary – Sunrider Academy is a particularly boring follow-up to an enjoyable visual novel. The stat management side of things gets old quickly and there’s so little interaction with other characters that there just wasn’t enough to keep me interested once I discovered that there was no change in gameplay when entering a character route. What story there is represents slice of life at its worst, with only a few references to Academy’s source material to spice things up. 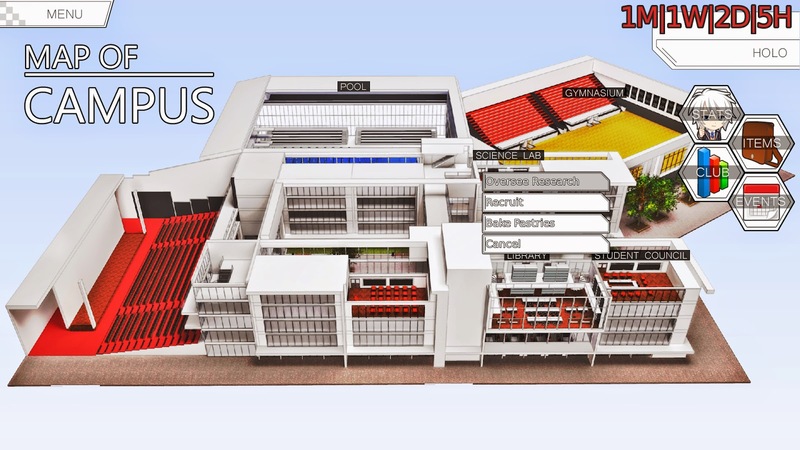 It looks kind of nice, though, so there’s that. This entry was posted in Reviews, Visual Novel Reviews and tagged academy, love in space, Review, sunrider, Visual Novel, VN. Bookmark the permalink. Nothing to say on a bad visual novel but I do have another recommendation for you though. Considering you enjoyed Ao no Exorcist I think you would really enjoy Noragami. I just finished it and I have never seen two anime more alike in design, story and style. I like a good stat management game, but this one is not it. I just finished my first of the four routes, and I don’t know if I’ve ever seen such a front-loaded game. It seems like 80% of the actual interaction with the girls is all in the common route. During the common route I was having random encounters with my chosen girl every other day, but once I got on her route I never had another random encounter with her the rest of the game, which made buying presents pointless since random encounters are the only times you can give one away. And then there’s the whole concept of totally random overnight stat losses, which I’ve always hated. I hated when “True Love” did it in the 90s, and I hate it now. If you lose stats for making a bad game decision or you start losing fitness (say) because you’ve gone a week without working out, I’d be okay with that, but nothing’s more frustrating than spending two of your precious free hours and 10 credits to gain 8 luck at the shrine, and then going to bed that same night and losing 10 luck. If that was the best way they could come up with to make this game challenging, then they should’ve either made it harder to gain stats or raised the stat minimums needed to trigger the flags, instead of forcing us to watch helplessly as the stats we’re trying to grind keep disappearing in a cloud of zzz’s. tl;dr: I agree with Silvachief. This one’s not worth your time or money. To be honest, I haven’t played all that many stat management games but I would expect them to be better than this if they were going to draw a fanbase. There’s a difference between difficulty and inconvenience, and from your description it seems the latter features heavily here (I played on an easier setting, so I can’t comment). It sounds like whether it’s the gameplay or the story you’re after, Sunrider Academy doesn’t deliver.